Liquidation Sale- We are liquidating our current stock, therefore, what is listed is what we have available. We are no longer offering color/ fabric changes or personalization. Item will come as pictured. 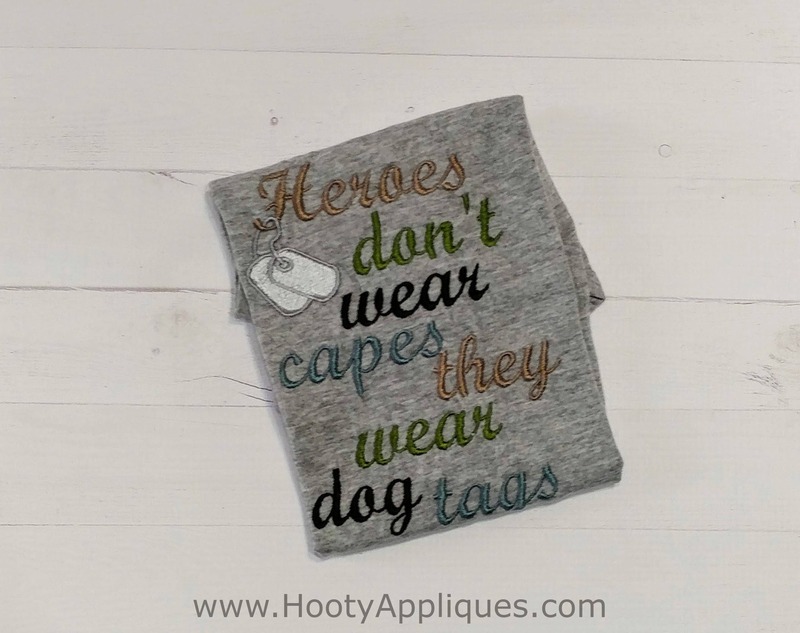 Military appreciation toddler t-shirt with embroidered details and the phrase: "Heros don't wear capes, they wear dog tags. 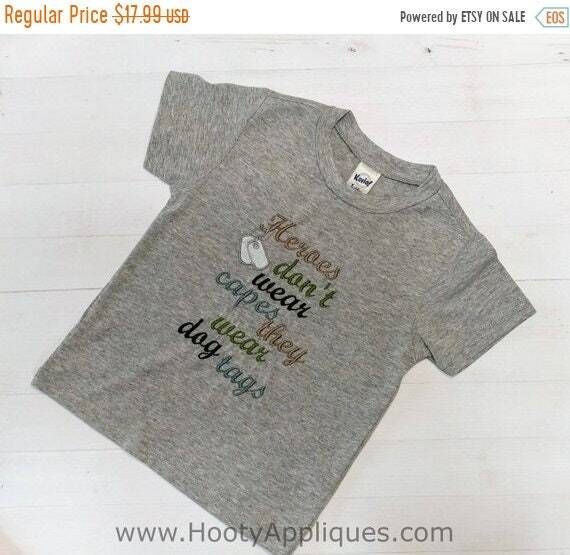 All shirts and onsies are a 40 % poly and 60% cotton blend. They are amazingly soft and won't shrink. See our Size Chart in the listing photos for more information. .